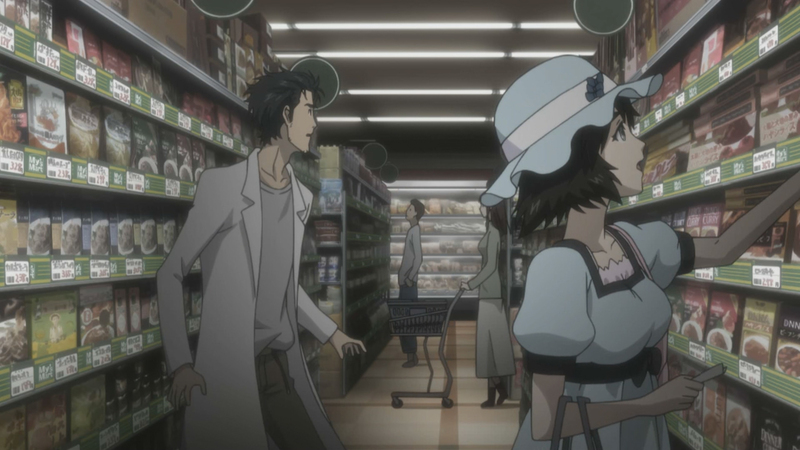 Okabe is confused and tries to understand everything that changed after so many use of D-mail, he realizes that a simple message to the past can have enormous effect on reality. This episode, while lacking in “action”, was excellent. Every story needs more than a nice universe and a cool story to work, you also needs interesting characters with transforming relationship. 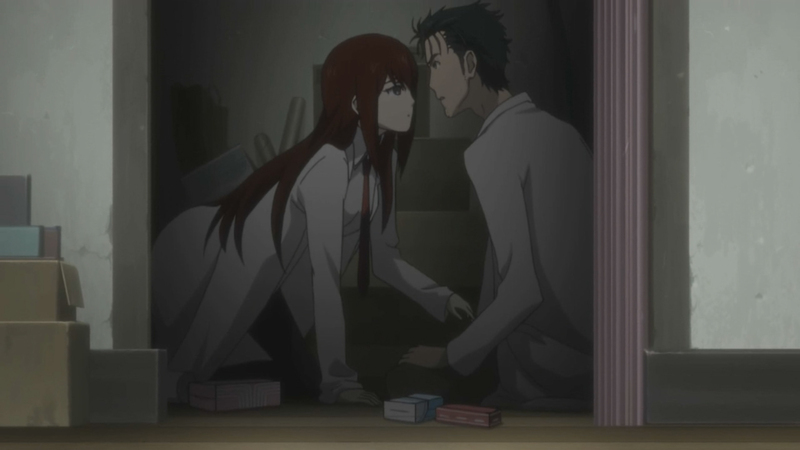 Each episode Kurisu and Okabe are getting closer and closer. 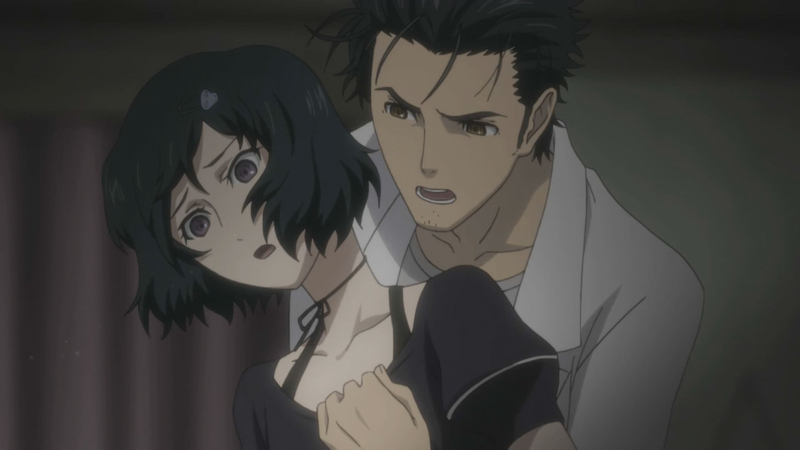 Okabe uses the persona of a mad scientist to protect himself from getting harmed by other people. He has a fragile self-esteem and therefore plays a character with excessive self-esteem and self-adoration, Hououin. Using his disguise of a mad scientist he can act crazier than anyone would dare approach, this protects him from malicious person that could use him and exploit his feeling. The only person who dare approach him are outcast of society, people who don’t care about the mental stability of their friends, they only want someone to listen to them when they talk and to be with them when they do something incredible. After all there is no point in being Unique if no one can appreciate your uniqueness. What I am looking forward is the time when Hououin will merge with Okabe. 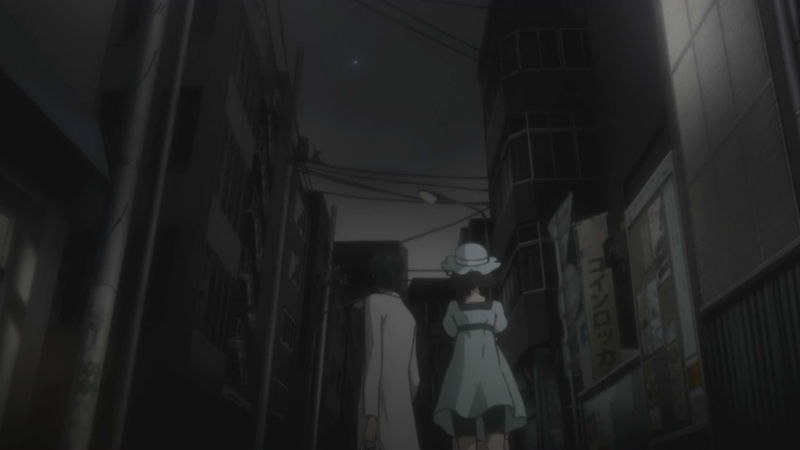 Changing the past continuously will have dire consequences, Okabe will start to lose his connection to reality and when that happens he will lose everyone around him. An easy example of this is when Okabe touched Ruka to prove she was indeed a guy, even if she was, in that reality, a girl. One day Okabe will go insane from that, and Okabe will become a real mad scientist, he will become Hououin, the only personality in him that can survive with such a twisted reality. While that part was really funny, things will start to get really depressing for Okabe when he won’t be able to know what exist and what doesn’t anymore. I have a strong feeling that Okabe and Kurisu will go very close to going out together and then one day by changing the past Okabe will lose her. There is so much things pointing out to it. Now I just wished weeks would go by faster so I could learn more about this anime ! The good thing is, I will be able to watch at least one good show when summer will start. There are so many awesome things about this show, I think that the worst that could happen to it is that nothing change. Even if things were to stay like they are at the moment for 14 more episodes, the story would still be better than most anime, so this show can only go uphill into heaven. The sky is the limit like they say, but this might just break the sky limit. Tagged anime, future, hououin, mad scientist, okabe, review, science fiction, Steins; gate, time travel. Bookmark the permalink.